For many children, the school bell on the last day of class couldn’t ring fast enough. Summer is a time of play, learning and growth for these children. For other children in Mid-Michigan, however, that school bell isn’t something to look forward to. It creates of anxiety. For these students, when the cafeteria closes so does their access to meals. Instead of enjoying friends and warm weather, these children are worried and at risk for hunger and malnutrition. 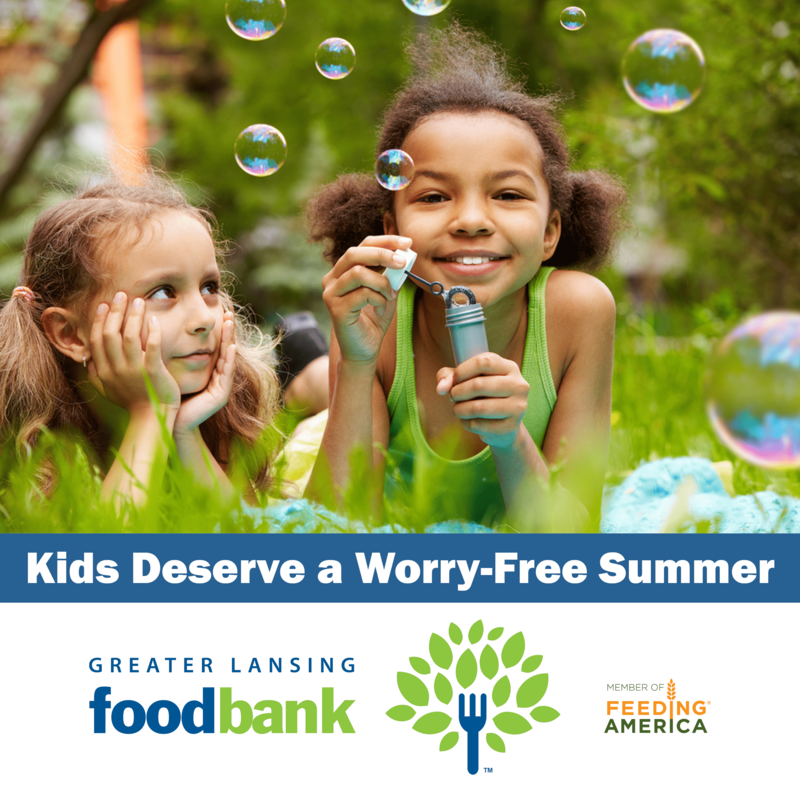 Thanks to Greater Lansing Food Bank and its network of partners, there are options for kids. The #MeetUpEatUp program offers children under the age of 18 the option to “drop in and drop out” for summer meals. GLFB mobile food pantry distributions make sure kids have easy to make meals at home when neighborhood programs aren’t available. Setting up our trucks on the weekend, we distribute all varieties of meals to families. During vacation, children should be focused on playing and growing. Thanks to YOU, GLFB ensures that children have a hunger-free and worry-free summer. This entry was tagged Greater Lansing Food Bank, Summer Hunger. Bookmark the permalink.